A round trip on Crete is a unique opportunity for experienced travelers, small groups with high expectations on the commentary and the information. 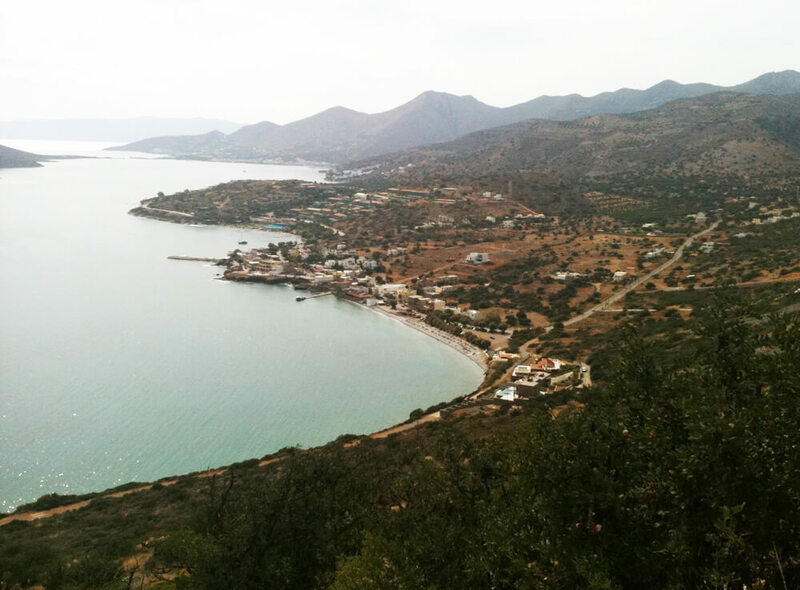 Crete offers a large variety of excursions and tours to combine knowledge, fun and relaxation. 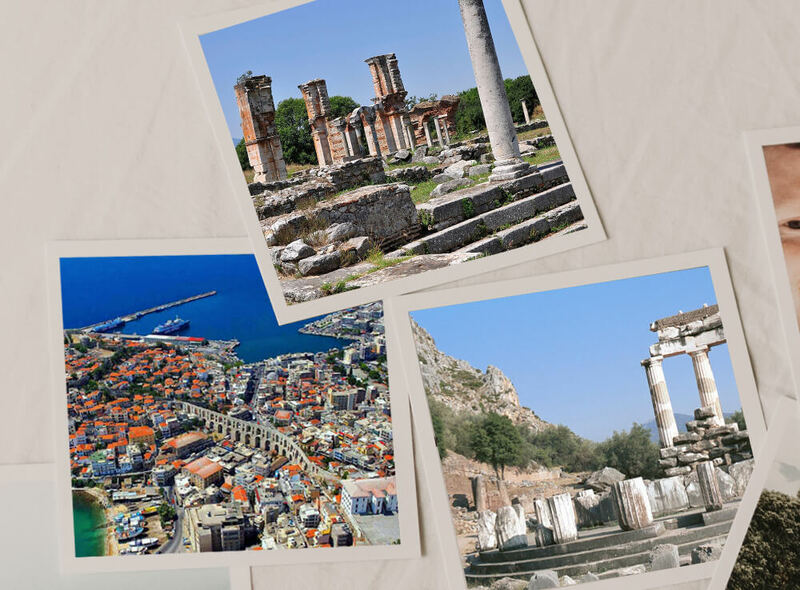 Round trips on Crete are ideal for educational purposes for students of colleges or Universities. The round trips on Crete give you the opportunity to see more than one places – sites and perhaps, why not, nearby islands such as Santorini. It is definitely a more fulfilling experience. You can book your hotels in one of the touristic areas of every prefecture (in Heraklion – Amoudara and Chersonissos, in Lasithi – Elounda, in Rethymnon at Skaleta and Chania from Platanias till Tavronitis) depending on the budget or your standards and invest in tours and excursions to explore the island. 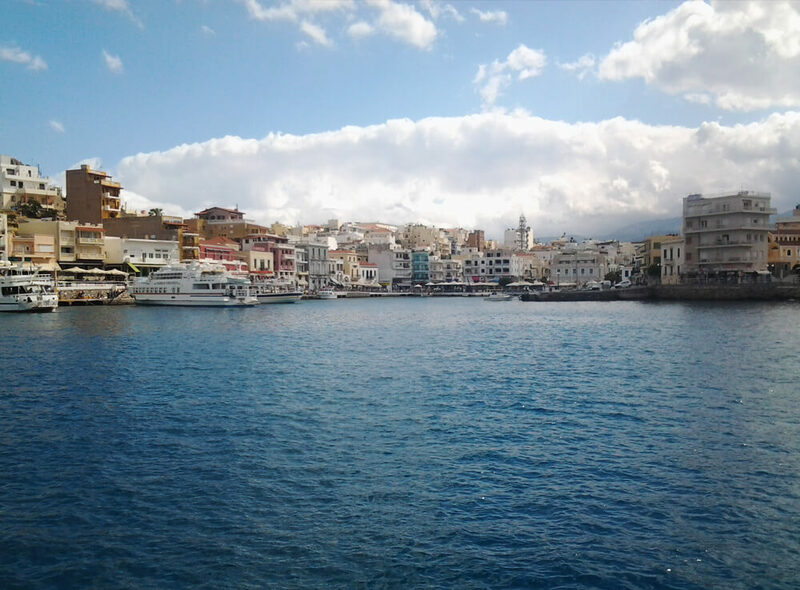 Crete offers a variety of different tours and activities to learn the history of the island, admire unique landscapes, visit archeological sites or traditional villages with local taverns, coffee shops and workshops. Get ready to meet the “real Crete” and make friends for a lifetime. Crete is an island famous for the hospitality of the people. Whether you are staying in one of the capitals of every prefecture of Crete (Heraklion, Rethymno, Chania or Lassithi) you can combine more, full day or half day tours for a more fulfilling experience. Our high qualified professional licensed guides can organize a program only for your group, to meet your needs and standards. Lets us know where are you planning to stay, you hotels and we can plan your excursions. An example of a round trip: starting from Heraklion (arrival airport), ending at Chania (departure airport). 5th day: Aptera fortress for photo stop, visit at Tsangarolon Monastery, photo stop at Venizelos Graves and City tour at Chania. Free time for lunch in the old city, close to the Venetian harbor. 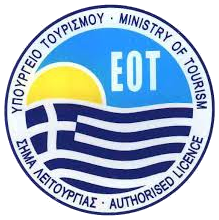 Same program, as mentioned above can start from the port of Heraklion and end at the port of Chania or vice versa. All options are open, any ideas you have for your ideal round trip, we are here for you to organize for you amazing round trips in Crete. During the first day of our round trip we visit the most famous Minoan site of Crete, the palace of King Minos and labyrinth of the Minotaure. Only few kilometres South of Heraklion is the palace of Knossos, where we arrive and cover the grounds of the site, 20.000sq.meters on foot. We see the oldest throne of Europe, an impressive architectural complex that covers the needs of an advanced civilization. 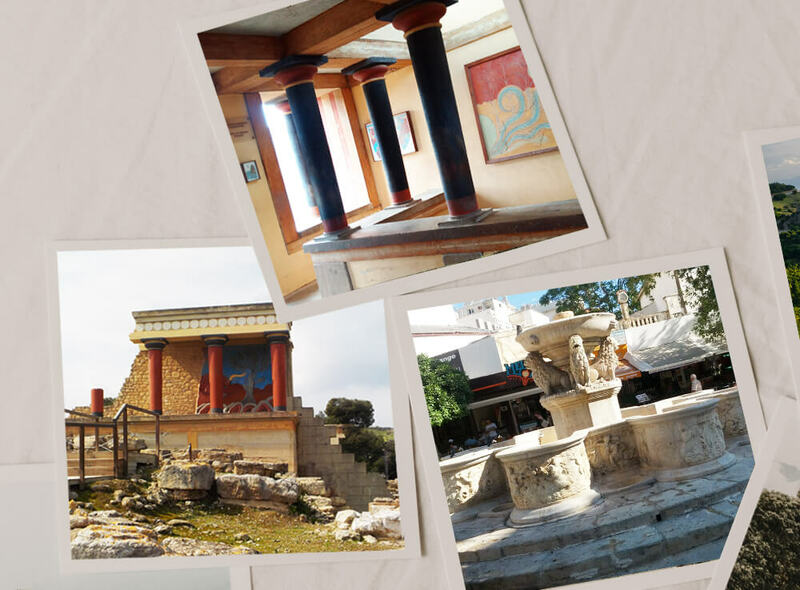 Our stay on the grounds of Knossos with a certified professional guide is round 2 hours where you will have time to take pictures, explore at your own pace before departing, as well as enjoy a comfort stop and refreshment brake. After seeing the site of Knossos, where Sir Arthur Evans spent a great deal of his life and personally became engaged with unearthing it, we proceed for the city centre. Here we see not only the masterpieces of Bronze Age Crete but we have the opportunity to see the whole history of Crete from Neolithic period all the way until the Roman Era. But this is the Levant or at least the Eastern Mediterranean we are bound to also stubble upon the trace of the Ottomans as well. Our day comes to an end and like in all Eastern Mediterranean cities after well rested it is an opportunity to enjoy the sunset and see the old town anew as it draws us to go for a stroll, for a mezze as the starry night approaches. To the south of Knossos and Heraklion will be our next outing. Towards the rolling hills and planes cultivated today and as far back as 2.500BC the wine country of Bronze Age Crete enjoyed as mentioned in Ancient Egypt. The olive fields with their knurled tree trunks that can be so striking to the eye. Here we can learn, see, smell and taste local variety of vines and olive oil and olives. Under the calm gaze of the father of Hercules, Achilles, Hellen and Minos the mountain Giuhtas -face of Zeus- we visit the settlement of Archanes, the site cemetery of Phourni mentioned by Evans whilst excavating in Knossos. Our day concludes by walking up to the sacred mountain face of Zeus enjoying the view of Archanes all the way until Heraklion and the North Coast. Here the griffon vultures nest one of the largest birds of Europe. Having seen where Zeus expired leaving his last breath we now make our way to see where he was born. Up to the highest cultivated plateau of Greece Lassithi. The thorn in the side of the lion of St.Marcus of Venice. The sacred cave of Zeus and Mother Earth. Our tour gives us the chance to see another aspect of agriculture of Crete and farming of the island. It also helps us to link and understand how from farming centuries ago the people of this island developed an advanced civilization. After descending from Lassithi we arrive at Malia or else known in Greek as the golden pit due to the golden masterpieces it has given us today in the museum of Heraklion. Malia, a minoan palace site very close to the coastline of the area, thus we begin grasp how, why a mountain people developed a curious sea navigating nation and civilization. We then proceed and after a short drive we reach Bioaroma. Here Manousos Pediaditis grandson of the ferryman of Elounda continues the tradition of aromatherapy soaps and has even revived ancient perfumes, scents, tees relying on the natural herbs and botanical species of Crete. We have the chance to see how the aromas are distilled and produced. Leaving Bioaroma we will have a better idea concerning the medicinal plants of Crete and hopefully recognize some of the species. Further East is the centre, palace of Gournia, a settlement of 1500BC. Cobbled narrow streets, houses and administrative quarters…a complete City Gournia. We continue exploring the East by visiting Elounda…the sunken city of Olous just a glimpse of it today can be seen…we sail across to Spinalonga the fort and leper colony that inspired the book the island. Lunch we have at Elounda, as well we have the opportunity to swim before visiting or after visiting Spinalonga. Our sail to across to Spinalonga is 15min, our stay an hour. We return to Elounda and after exploring Elounda we make our way to Ag.Nikolaos a 20min drive. 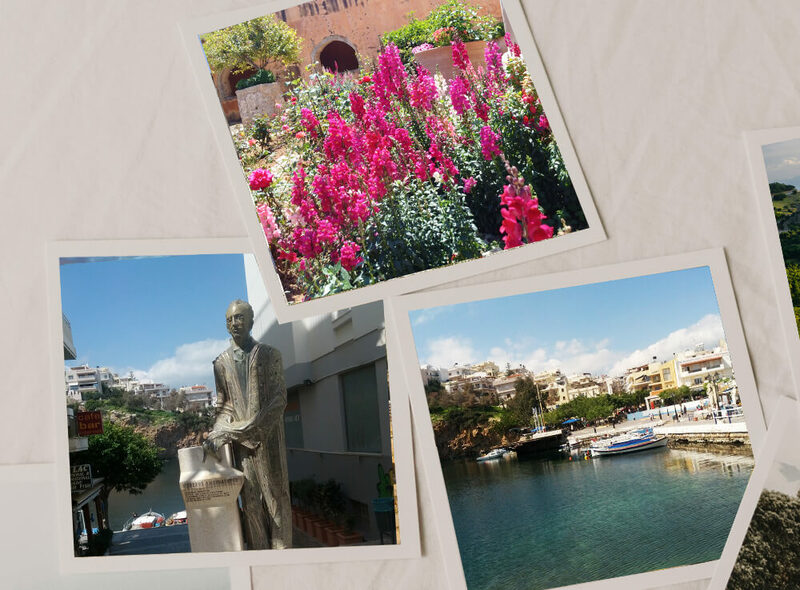 Ag.Nikolaos the capital of Lassithi a city set round a picturesque harbor and lake. A perfect way to end a splendid day. Today we explore the South Side of the region of Heraklion and go as far down as the Libyan coast of Crete. 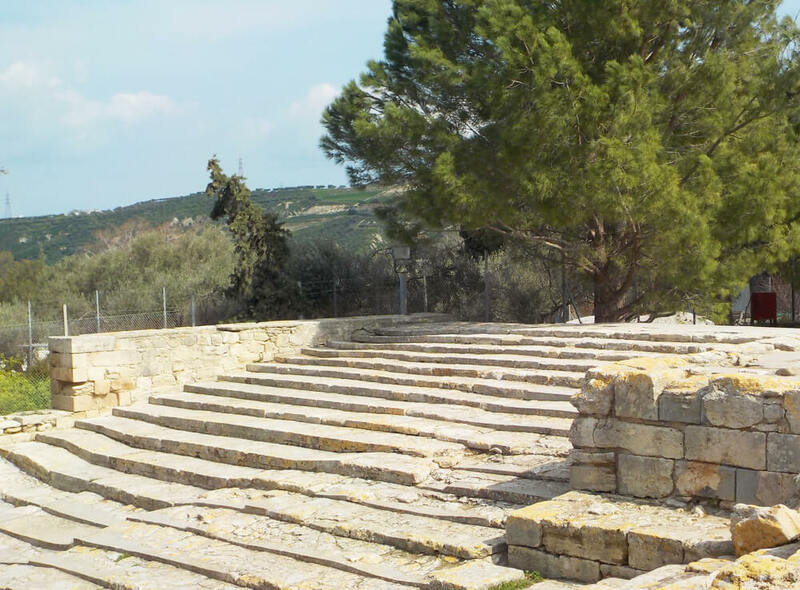 We drive through the fertile plan of Messara to reach the site and second to Knossos the palace of Phaistos. Very different to Knossos in its history and style of excavations, the site of Phaistos is the one that provided us with one of the mysteries of civilization, the Phaistos Disk. After visiting the palace, we proceed for the Roman capital of Crete Gortys. A huge site, still undergoing excavations .Temples dedicated both to ancient Egyptian but also Ancient Greek Gods. A Roman city…this is what St. Paul saw when arriving in Crete with his disciple St.Titus, today still stands this oldest Basilica of Crete St. Titus. We leave Gortys only after seeing a botanical rarity the evergreen plane tree and sacred tree of Zeus. By now we are ready and eager to enjoy the sea of the south coast. Matala caves beach, fishing restaurants and taverns today. Ancient port, cemetery and Hippie settlement until the 80s! We complete our circle round the highest mountain of Crete by arriving at Rethymno. The university seat of the University of Crete is in Rethymno, the third in size city of the island. This Venetian city is seen on foot; we take a guided walk through the maze like streets see the Venetian port and make our way up to the Venetian fort. We visit the archaeological museum that displays the finds of the region of Rethymno several finds of areas that we are going to visit in the next few days. Our time spent like in most guided tours conducted by professional and licensed guides depends always on the interest and needs of the guest. Leaving Rethymno we head in land to the sacred monastery of Arcadi. A symbol of Liberty for the Greeks mention by Verdi and Victor Hugo. Our visit of Arcadi enables us to understand not only Greek Orthodoxy but also gives us an insight of the history of the island during the end of the Ottoman rule. From here we make our way to visit ancient Eleftherna, a Homeric cemetery a marvellous site that in the journal of 2009 of Americas Archaeology was in the top 10 most important archaeological sites of the world. Here we walk in the steps of Achilles, Hector and Agamemnon … Here we remember the oldest poet of Europe Homer. To the South of Rethymno just a 10min drive we arrive at the Late Bronze cemetery of Armeni. A stretch of chamber tombs, finds from the burial site can be seen in the archeological museum of Rethymno. We take a walk under the ever green oak trees of Crete through this peaceful site. We even have the chance to enter the largest tomb, the tomb of the most prominent ruler of the settlement. We continue further West to ancient Dorian and Roman Lappa. Water falls, Roman aqueducts, mosaics Greco-Roman finds embedded in Christian and Venetian buildings. It is one of the old villages of Crete that played a very important role in the revolt against the Venetians. We have the chance to see how a Roman cemetery gave its way as a place of refuge to early Christians. From Lappa we go north to the only natural lake of Crete the lake Kournas. The lake Kournas was one of the sacred lakes of the Goddess Athena here we can have lunch, for a swim or even paddle. Driving alongside the White Mountain chain we arrive after 45min from Rethymno in the area of Aptera. One of the Western capitals of Crete, we can see here from Greco-Roman to Christian period monuments. The site is still being excavated, Roman villas water cisterns, temples and fortifications. We make our way up to the fort overlooking Suda bay. The view like in many places in Crete is stunning. Our drive from Aptera to the second in size city of Crete Chania is 20 min. Chania once the capital of the island of Crete here you fully understand that Crete until recent times functioned as a crossroad of cultures, people, civilization. Here you see finds from the Minoan period, the Hellenistic, the Roman, Byzantine, Venetian and Ottoman. Here from the largest sheltered market of the Balkans to leather lane into what used to be the Ghetto. Christian temples, Mosques and one of the oldest synagogues of Greece can be seen here. Buildings, scent, colours are most enticing here in Chania. In the steps of Homer, in the steps of Agamemnon we arrive at the ancient city today village of Polyrinia. Set up in the White Mountain chain this ancient Acropolis a settlement of farmers with livestock from 9 century BC till this day still displays the same life style. From here we continue to visit Biolea to see the process of olive pressing, to sample different varieties of olive oil and to also see the oldest olive tree of Crete, thousand years old. After understanding the olive oil produce and its role in the local economy and social structure of the island, it’s time to meet with an interesting family and their winery. Karavitakis is reviving old varieties, enhancing existing and bringing to Crete varieties from France Spain and Portugal. To realize that nearly all the wines of Crete were destroyed in the 70s like in many parts of Southern Europe and France and how some wines survived and thrived. The program was designed by Ioanna Kalypso Glypti, professional licensed English – speaking guide. Depending on the number of participants the transportation may vary. The 9 days program can be a private tour or perhaps with a mini bus an ideal suggested program for families or friends travelling together.